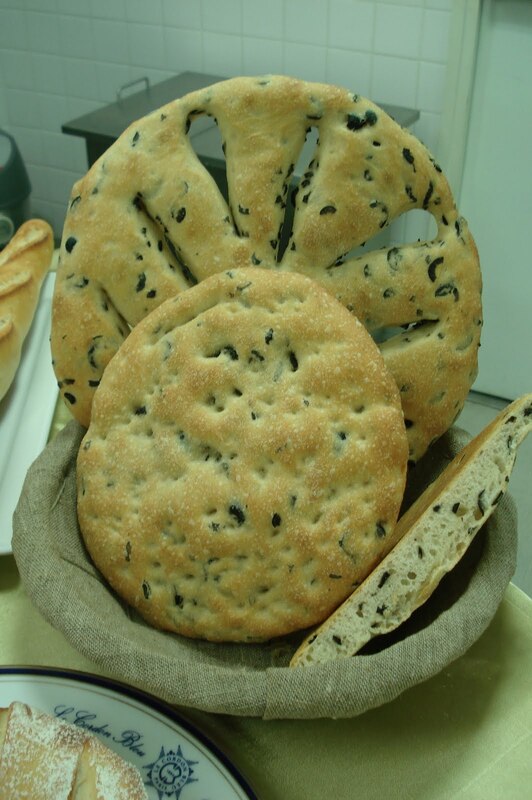 - Foccaccia and Fougasse were steam-baked at 180 degrees celcius. Sliced olives were added to the dough before baking. I loved these! 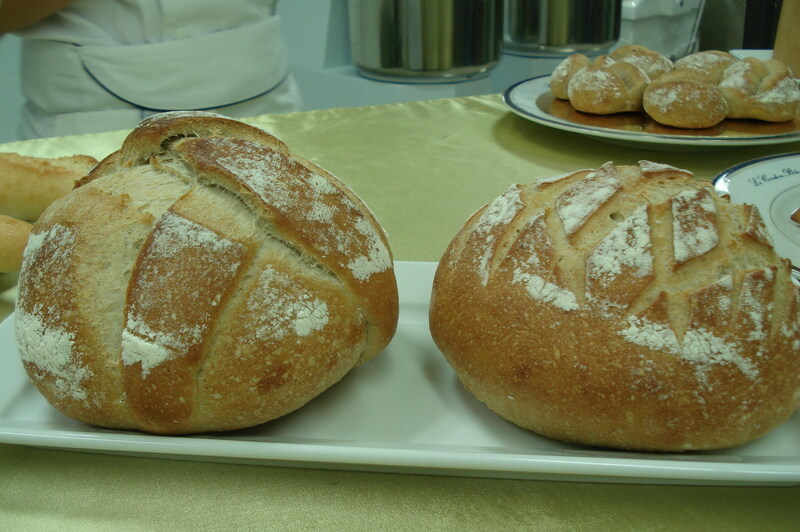 Boule nouee and boule were also made from sour dough. 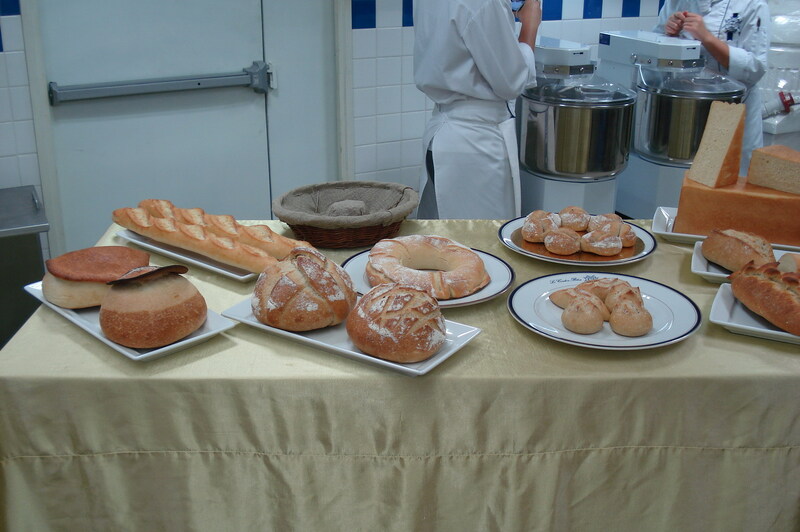 Baked at the same temperature as the crown fendu. 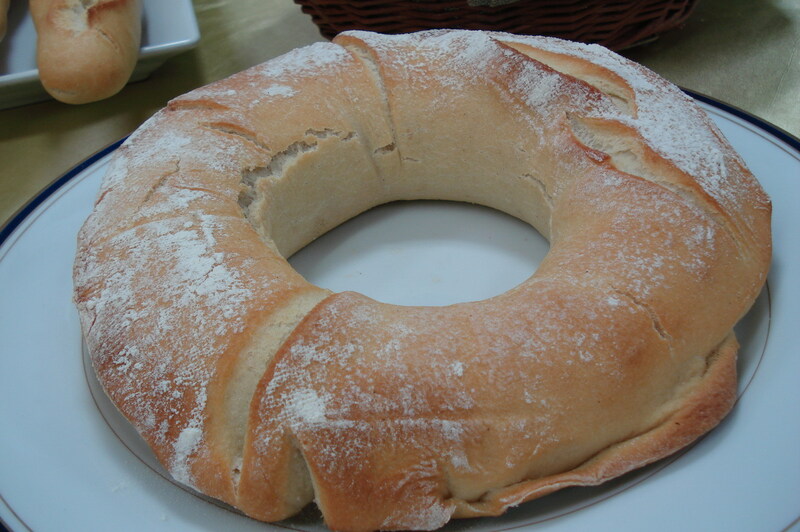 Crown auvergnat was made from leavened dough steam-baked at 250 degrees celcius. These were all the bread we baked today. It was a five-hour workshop where everyone learned the steps in making chef dough and leaven dough, and had fun kneading, proofing, baking and eating our own bread . It was a time well spent. This yule log is comprised of joconde biscuit, caramel cream and Orange flower mousse. The Joconde biscuit is cut into 3 different sizes. 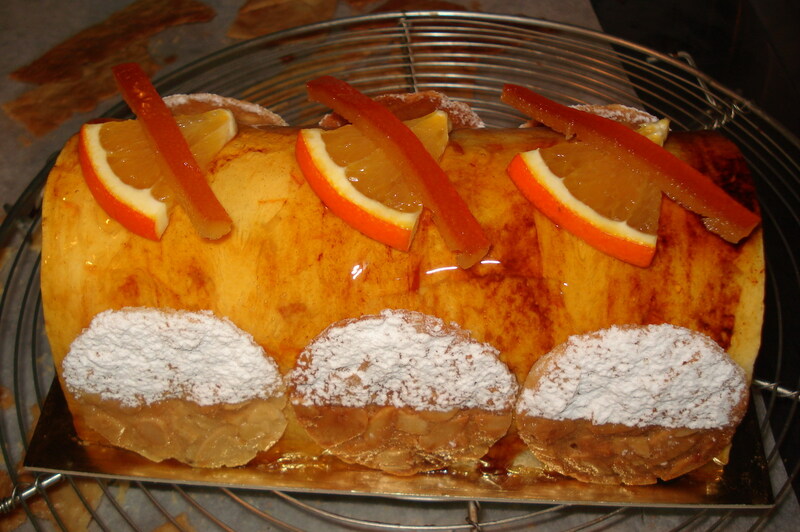 Orange flower mousse serves as the coating of the cake so spread it on the base of the buche mould before placing the biggest joconde piece inside. 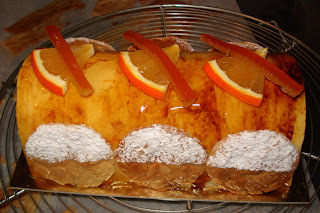 Once firm, place the caramel cream in the center, cover it with joconde. 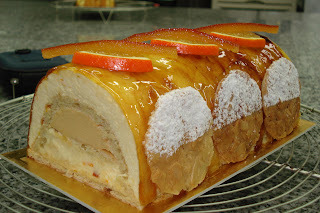 Spread another layer of orange mousse over the joconde. To seal, use the remaining joconde biscuit. Turn the mould upside down to let it compress and freeze. Coat the base of the log with pate a glacer. 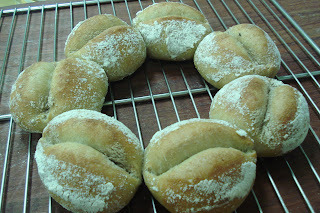 Glaze the surface and decorate sides with florentine biscuits.